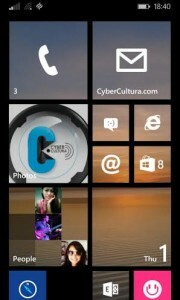 Windows Phone 8.1 have introduced an important number of different features in this new version. Today we wanted to share a feature similar to the “swype feature” in Android that allows users to draw on their keyboard in order to have the words typed and another feature that finally allow users to change the tiles background colour for a picture. pra on Windows Phone 8.1: stuck in spinning wheels problem? Adi on Windows Phone 8.1: stuck in spinning wheels problem? Abdul on Windows Phone 8.1: stuck in spinning wheels problem? Caleb on Windows Phone 8.1: stuck in spinning wheels problem? Duly on Windows Phone 8.1: stuck in spinning wheels problem?